There was a time when there was a huge price gap between the Innova and the Fortuner. 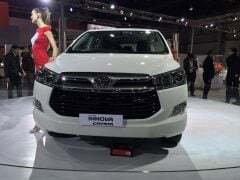 However, the Innova kept getting costlier over the time and now, with the advent of the latest generation, this price gap is at an all time low. The top-end variant of the Innova Crysta retails for a shade under 20 lakhs. In comparison, the entry-level variant of the Fortuner retails for around INR 25 lakhs. 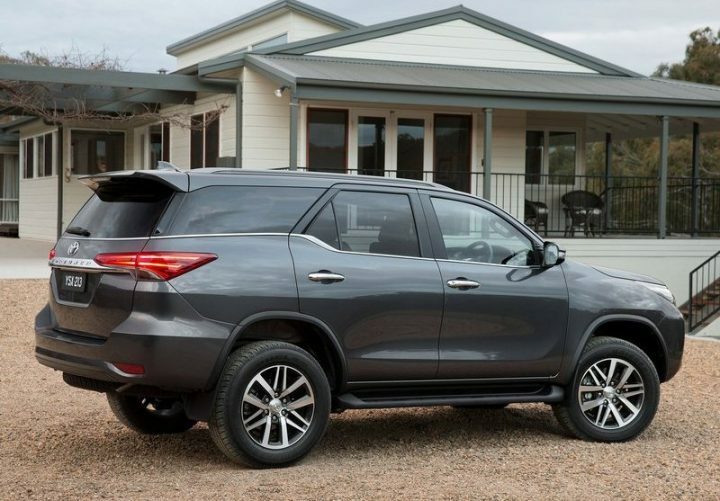 Also, with the Fortuner fast losing out to the new Endeavour in popularity, expect TKM to throw in some discounts to clear the current Fortuner’s stock. There’s still a price gap of over INR 10 lakhs between the entry-level Innova and the entry-level Fortuner. 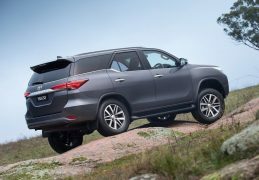 However, those with a higher budget will enjoy the option to choose between the fully loaded Crysta and the entry-level Fortuner. Hence, it is clear to see that the Innova Crysta offers many more features for almost INR 5 lakhs lesser! Both the new model Innova Crysta and the Fortuner are on sale in India with two engine options. While the top-end Innova gets a 2.8-litre engine, the base model Fortuner comes with a 3.0-litre engine. However, the Innova is still slightly more power and enjoys more torque. In comparison to the Fortuner’s 169 BHP, the Crysta gets 172 BHP. Also, while the Innova gets 360 Nm of torque, the Fortuner gets only 343 Nm. Another big difference is in the transmissions. In comparison to the Fortuner’s 5-speed Manual Transmission, the Crysta’s top-end model gets a 6-speed Automatic. Talking purely in terms of engine specifications, the Innova Crysta offers a better package here. 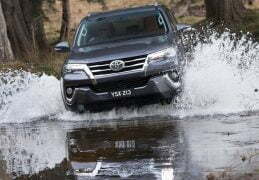 The only area where the Fortuner zooms ahead is in the off-road prowess. But then, neither of these models come with a 4×4 and how often does a Fortuner goes for some real off-roading? Now the Indian car market is highly fuel conscious. Even in the higher price segments, the buyer tends to opt for a car with a higher fuel mileage than outright performance. Between the Innova 2.8 and the Fortuner 3.0, the former is marginally more power. However, it is also much more fuel efficient and offers a considerably higher fuel mileage. 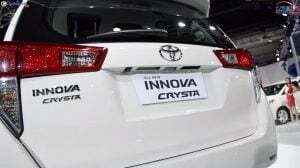 All this means that the new Innova Crysta, thanks to its new age engine, is not only more potent but is also more frugal. Apart from these, the Innova Crysta is also better built and the interior comprises of higher quality materials. 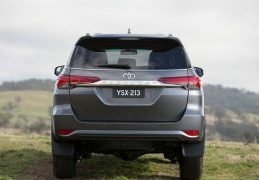 In terms of dynamics too the Crysta is ahead of the Fortuner. As we said, the only area where the Fortuner zooms past the top-end Innova is in off road application. Elsewhere, there’s nothing much that the Fortuner offers to justify a premium of over INR 5 lakhs over the top-end Innova. Unless of course you can’t do without those daunting SUV looks. So what do you have to say about our Toyota Innova Crysta vs Fortuner comparison? Do share your views by penning them down in the comments section below. Also, stay tuned to Car Blog India for more posts like the Toyota Innova Crysta vs Fortuner comparison we have here.